During a presentation full of new Mac hardware and software, Apple senior vice president of Internet software and services Eddy Cue unveiled new versions of Pages, Numbers, and Keynote on both OS X and iOS. All three apps will be available for free to anyone who buys a new Mac or iOS device; existing owners of the OS X apps running Mavericks can update for free as well, as can existing iOS users. 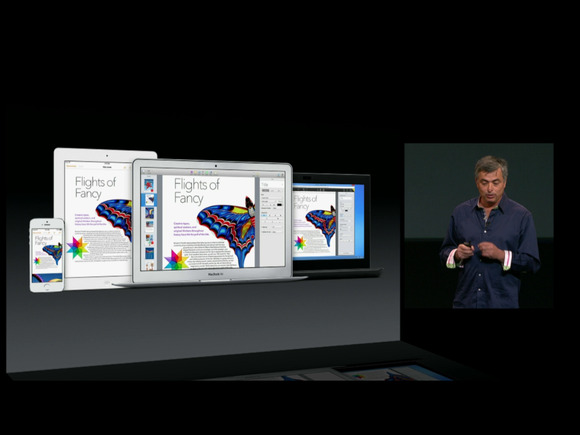 Cue provided brief overviews of each of the iWork apps, beginning with Apple’s word processor, Pages. One of its new features is smart text and object recognition; that technology replaces the old Inspector and actively changes depending on what you have currently selected. The Numbers spreadsheet app gains a new design and interactive chart options, while Keynote contains new effects and animations made to work on both iOS and OS X. 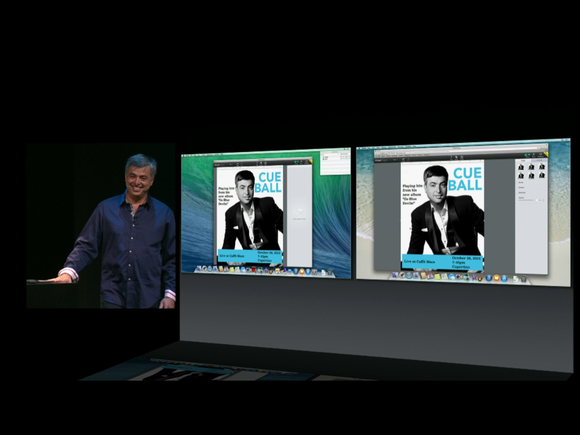 In addition, Cue brought Apple vice president of productivity applications Roger Rosner onstage to demonstrate a new feature for iWork for iCloud: live collaboration. Cue noted that it was one of the top-requested features from customers. He showed it off in an engaging demonstration with Rosner, in which they designed a poster together live. The iWork apps should be available the afternoon of October 22 from the iOS and Mac App Store.